Founded by Antonio Palumbo in 1884, Palumbo's originated as a boarding house for newly-arrived Italian workers. 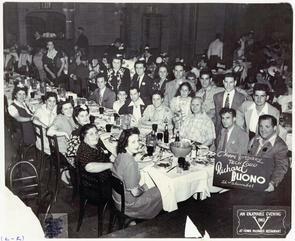 Antonio's son, Frank Palumbo Sr., transformed Palumbo's into a multi-building banquet hall and entertainment complex that became the center of Italian-American social and political life. 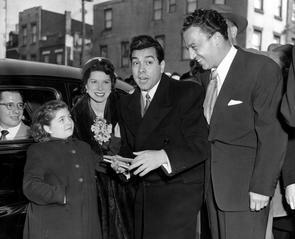 Mario Lanza, Frank Sinatra, Dean Martin, Frankie Avalon and Sammy Davis Jr. all performed there. In its mid-20th century heyday as a nightclub, the food and entertainment at Palumbo's made it a premier destination for parties, weddings, reunions and other milestone celebrations, especially for Philadelphia's Italian Americans. 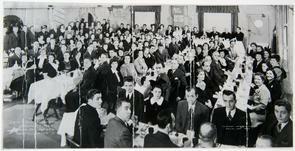 It was also a popular gathering spot for the city's politicians and civic leaders. After more than 100 years as both a neighborhood and regional landmark, Palumbo's burned down in a series of fires in 1994. In its early days, Palumbo's was the largest boarding house in the neighborhood that catered to Italian workers. The workers, who usually came from Abruzzi, sought inexpensive food and lodging. It is said that many Italians arrived at the dock speaking no English, but wearing a sign reading "Palumbo's." Italian men often clustered together because work on large projects such as construction and maintenance of the railroads required hundreds of men to be assembled quickly in work crews. Cipriano, Ralph. 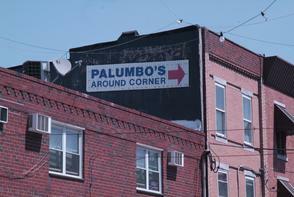 "A South Philadelphia landmark topples the regulars gathered to see Palumbo's meet the wrecking ball. For them, it was a sad day." The Philadelphia Inquirer. August 4, 1994. Gelles, Jeff and Walter F. Roche, Jr. "Fire engulfs Palumbo's Restaurant famed club was closed at the time." The Philadelphia Inquirer. July 21, 1994.